Impacting the next generation for Christ is a key theme in scripture. However, in our modern culture, generational vision is rare. National Bible Bee alumni, Hanna Sims, shares some of her testimony and passion for youth ministry. Hanna competed in the National Bible Bee from 2009-2013, and qualified for nationals four years in a row. “Teaching and training the next generation, and equipping others to do the same has been my passion for some time now. It brings me great joy when children and youth come to believe in Jesus as their Savior, and are then interested in knowing more about God and his truth, and learning how to make a case for their faith. 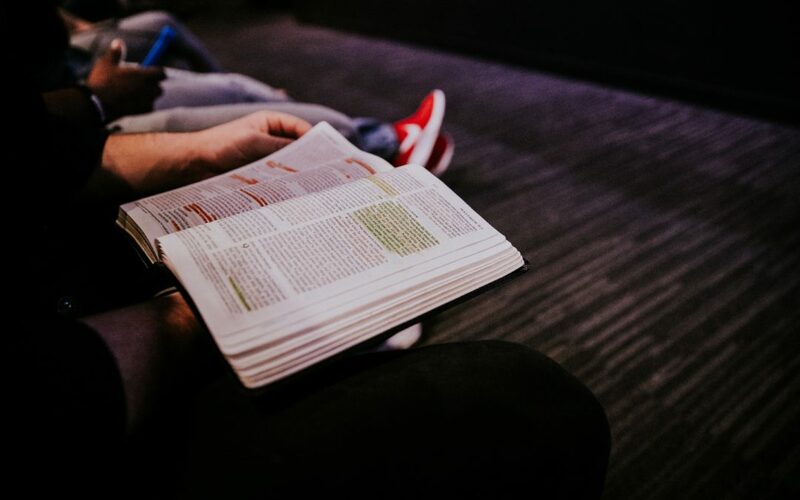 In pursuit of this vision, I started a ministry with my family to equip the body of Christ in Biblical discipleship, and evangelism to the next generation. Through teaching children and youth, hosting workshops for those that influence children and youth, and connecting believers with tools to assist them in their ministry to children and youth, God is using me to reach the next generation for his glory. Eventually, one of my goals is to produce some material on classroom management and child-friendly ways of sharing the gospel. I would also like to write a fictional book for kids to help them learn how to have a Biblical worldview and discern/counter other worldviews. But most importantly, I want to go wherever God leads and learn to be content in whatever path he puts me on to serve him. My advice for young people who are thinking about what to do in their future is to consider what God has brought you through in the past and how he has used that event in your life. Is there a burden or passion that he has put on your heart? Is there an experience that he took you through that you want to share with others? Also, input from someone like your parents is often helpful in opening your eyes to see on how God is leading and directing your passions and steps, and how he is preparing you for service in his kingdom. Whether in generational ministry, evangelism, your job, family, or National Bible Bee studies, if you go in the strength of the Lord God, He will be with you. He will strengthen you. And He will fight for you.